When the U.S. Department of State held a meeting in which Secretary of State Mike Pompeo discussed regime change in Iran with prominent Iranian opposition figures on July 22, the exiled Iranian political-militant organization Mojahedin-e Khalqm’s (MEK) was not invited. This can be attributed to MEK’s unpopularity, not just among ordinary Iranians but rather among Iranian dissidents and opposition figures in the United States. 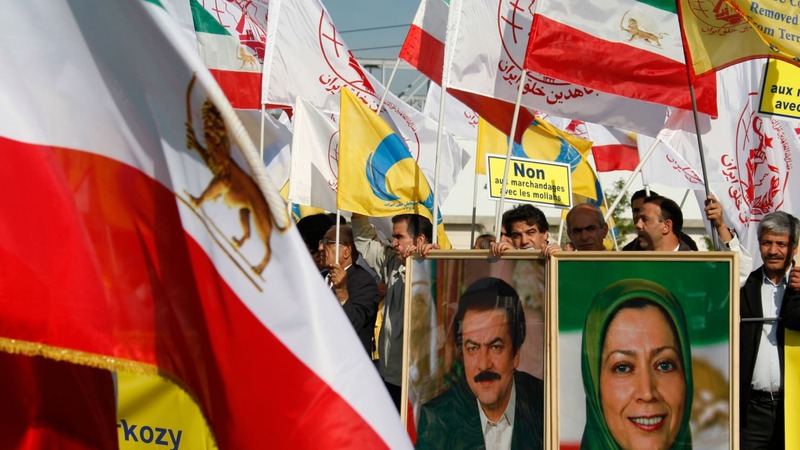 While MEK seems to be popular among some U.S. politicians after the group was delisted from terrorist lists, MEK remains unpopular among Iranians and in particular with the Kurds. The assassination of ordinary citizens, playing a key role in the 1979 Islamic Revolution, taking part in U.S. embassy hostage crisis, and providing security services for Iraq’s dictator Saddam Hussein all contributed to the group being Iran’s most hated political organization. After ayatollahs forced MEK to stop its armed activity and boycotted its leaders from taking part in the 1981 presidential election, the group started carrying out a series of terrorist attacks. These activities finally forced the group into exile and made them the best military asset of Saddam Hussein during the second half of the Iran-Iraq war. During the first half of Iran-Iraq war, MEK established intelligence cooperation with the Iraqi army. MEK’s cooperation with Iraq became more intense in 1986 after French Prime Minister Jacques Chirac struck a deal with Tehran over the release of French hostages in exchange for the ceasing of French’s technical support for Iraq’s nuclear program. Part of the agreement was forcing MEK to leave France, where it has had its headquarters since 1981. Saddam Hussein invited MEK to relocate their headquarters to Iraq, where MEK formed the 7,000-member National Liberation Army (NLA), which acted as a part of the Iraqi army. Saddam agreed to provide shelter for thousands of MEK members. MEK’s leaders, including Massoud Rajavi, had taken part in the 1973 Arab Israeli war during which they gained experience of fighting in classic wars. This experience drew the attention of Saddam Hussein who then utilized MEK in operations against Iran. Soon MEK took part in joint operations with the Iraqi army against Iran, starting with “Operation Aftab” (Sunshine) near Shoush in southeast Iran on 28 March 1988. According to MEK, the organization killed 3,500 Iranian soldiers and captured a further 417, while MEK only lost 123 of its people. The operation was successful in terms of occupation of parts of Iranian territory but had a negative effect on MEK’s reputation. All Iranian opposition groups cut their ties with the group. “Operation Chelcheragh” was the second major operation in which Iraqis used MEK’s forces against Iran. The operation was launched on June 18, 1988, with the key goal to occupy the Iranian border city Mehran and its oil fields by using Persian language speaking forces to penetrate into Iranian territory and control Kurdish villages in the region. The Iraqi army used 3,000 of MEK’s members during the operation. Militants of three MEK battalions disguised themselves as Iranian army soldiers, which helped them to break Iran’s defensive line by killing and capturing dozens of their soldiers. Finally, MEK managed to successfully attack Mehran and occupy it in the morning of the next day. On 20 July 1988, Iran and Iraq both accepted the UN Security Council resolution 598, calling for an immediate ceasefire between the two countries, the repatriation of war prisoners, and the withdrawal of troops. This quickly caused a halt to Iranian military operations with the idea that Iraq would also reduce its forces from the frontlines. However, just days before the official ceasefire, Saddam planned to launch an offensive to occupy as much as possible of Iran’s territory to have the upper hand during any diplomatic negotiations after the truce. Because using Iraqi army troops to occupy Iran’s territory would breach the resolution, Iraq used militants of MEK for “Operation Forooghe Javidan” (Eternal Light), launched on July 25, 1988. MEK took part with almost 5,000 militants, who were heavily armed by the Iraqi army. During Operation Eternal Light, not a single Iraqi soldier accompanied MEK on the ground. Instead, Iraqi air forces provided significant help on the evening the operation was launched. To foil any possible resistance of local Kurdish Peshmerga forces, Iraqi air forces dropped chemical bombs on four Kurdish villages in the Gilan-e Gharb county, killing hundreds of civilians and forcing the local Kurdish Peshmerga to leave the region precisely five days before the launch of Operation Eternal Light. Five days later, the Iraqi army launched a deceptive offensive from the Khuzestan frontlines to draw the attention of Iranian armed forces away from the western fronts. Although these helped MEK to successfully occupy Eslamabad-e Gharb in western Iran on the first day of the operation, they were slowed down by the Kurdish Peshmerga a day later. Kurdish forces managed to entrap MEK armored column behind Chahar-Zabar strait, miles before they reached Kermanshah. Hours later, Iranian armed forces launched the counter-offensive “Operation Mersad” on 26 July 1988. As a result of this operation, almost 2,000 of MEK’s militants were killed, the Eslamabad-e Gharb was recaptured by Iran, and the remaining MEK militants were pushed back into Iraq. MEK’s 1988 Eternal Light operation gave Iran’s Islamic regime and its dictator Supreme Leader Ruhollah Khomeini an opportunity to justify the execution of almost 5,000 Iranian political prisoners. Only 1,400 of them were MEK members. The execution started as the retaliation of MEK’s failed military operation but also took the lives of people who did not support MEK or had opposite beliefs. In the course of “Operation Iraqi Freedom” in 2003, air forces of the U.S. and the U.K. bombed military camps of MEK and forced the group to surrender and hand over their arms. After Operation Iraqi Freedom, MEK members and its leaders were on the edge of prosecution due to the crimes against humanity. Thanks to the generous financial support of Saudi Arabia, the group managed to pay for advocacy of the U.S., U.K., Canada, and other countries to be taken off terrorist lists. MEK spends millions to hold annual rallies in Paris during which they pay Western politicians to give speeches and rent crowds of refugees and foreign students to play the role of Iranians. MEK also pays western journalists and news agencies to publish articles in support of the group to raise its popularity in the west. Despite these efforts, the Trump administration refuses to take MEK seriously and consider them a popular opposition group.